Email Jerry for dates & times. 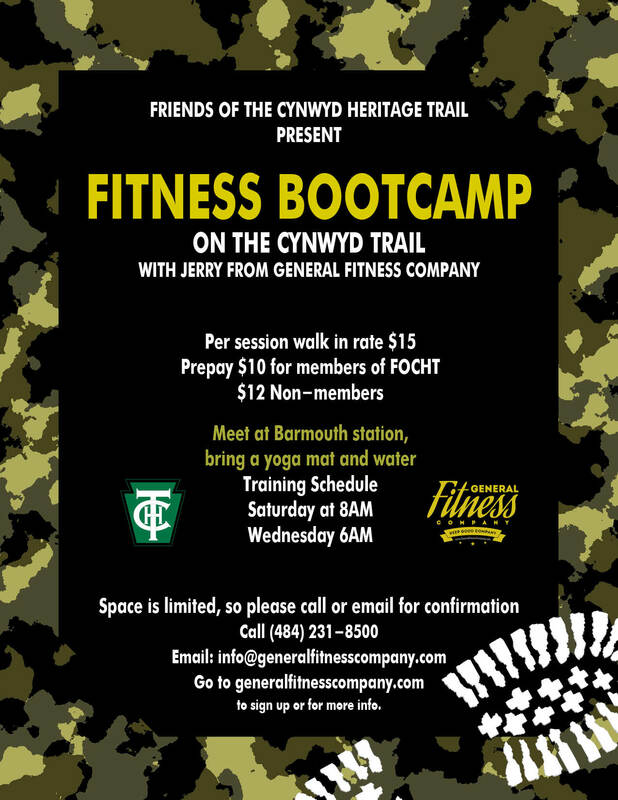 The Friends of the Cynwyd Heritage Trail (FOCHT) was founded in 2008 by a group of dedicated volunteers committed to supporting the construction of the Trail. Currently, the Friends focus on supporting the volunteer efforts in beautifying the park. In the future, the group hopes to support the recreational and educational resources of the park and provide for trail amenities. The Friends are now in the United Way’s Donor’s Choice Program. If you want to donate to the Friends through United Way, we are donor organization #51240. You can still use PayPal, too, by clicking the “DONATE NOW”. April 6th and 7th, 9 to noon. See (left) the TRAIL PHOTOS page for more of us having fun. Why workout in an cool air-conditioned gym? Why stay clean and neat when you can get a little dirty? Why listen to your earbuds when you can get yelled at? 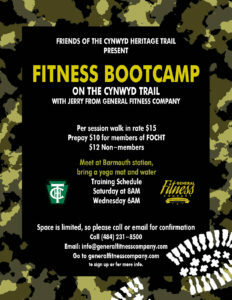 Bootcamp on the Cynwyd Trail is in full swing. Saturday at 8am and Wednesday at 6am. Support the trail, and come out. The Friends of The Cynwyd Heritage Trail host Bike Ride Saturday, June 3rd! 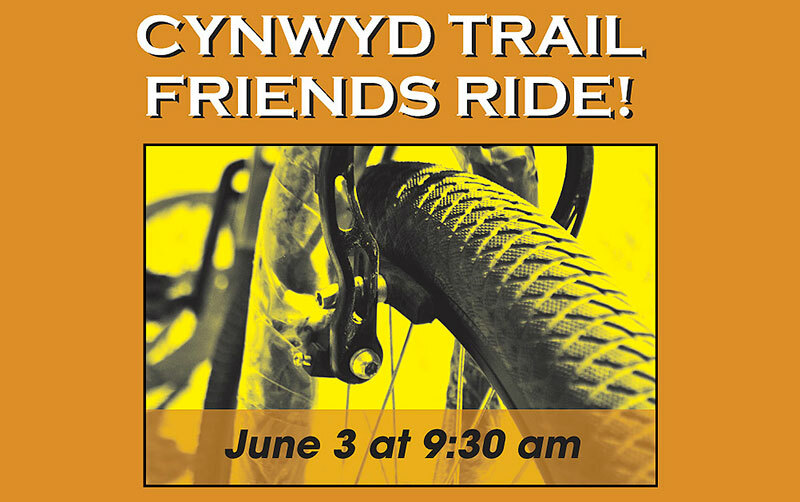 The Friends of The Cynwyd Heritage Trail are hosting a ride this Saturday at 9:30 a.m., with a rain date of June 10. All skill levels are welcome. No one will be left behind! Meet at Cynwyd train station. Just show up with your bike and we will organize into groups for different skill levels. Destinations include Manayunk, Conshohocken, Valley Green, and Art Museum, or Valley Forge. The groups will reunite for a social after the ride at the Manayunk Brew Pub. 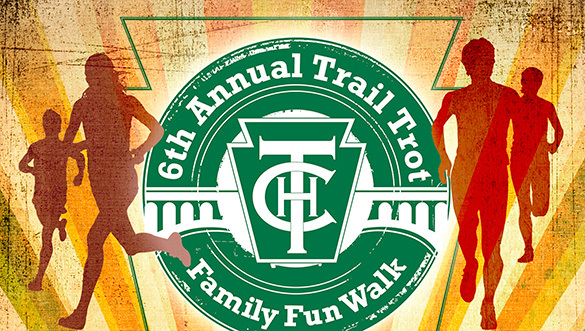 The Friends of the Cynwyd Heritage Trail hosted the 6th annual Trail Trot 5K and Family Fun Walk on Sunday, May 21st. It was a beautiful morning and the event was a success attracting 46 participants, including many families walking and running together. Pam Delissio got the race started promptly at 9am with some of the youngest runners showing their enthusiasm at the start as they dashed ahead for an early lead. They had some competition though and Michael Unger and Daphne Scullin came out on top as the male and female overall winners. A special thanks to the event sponsors including, the Kohelet Foundation, West Laurel Hill Cemetery & Funeral Home, Pescatore, Wawa and The Barson & The Paul Family. 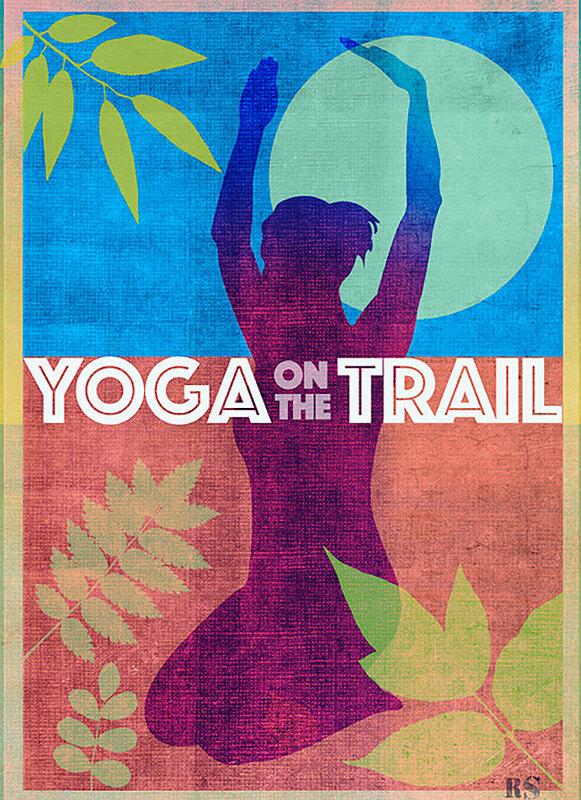 Meanwhile to add to the fun, community atmosphere, FOCHT and Dana Hot Yoga hosted the first Yoga on the Trail of the season. 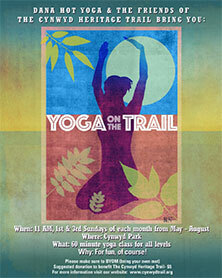 Join us for yoga all summer in Cynwyd Station Park on the first and third Sunday of the month at 10am. 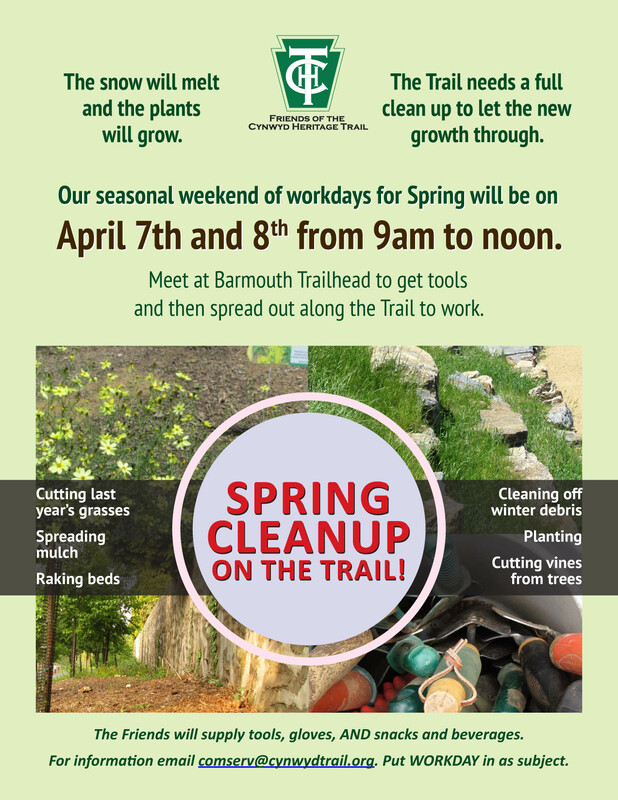 Thanks to everyone who came out to Barnes/Cynwyd Trail Earth Day Celebration, last Saturday at The Barnes Arboretum. 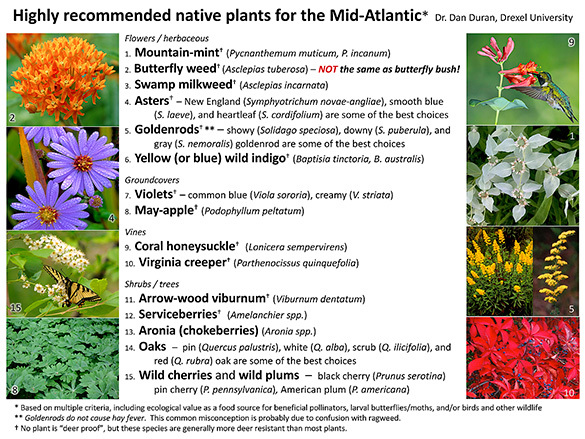 at Drexel University provided attendees with a hand-out information on recommended plants for biodiversity. 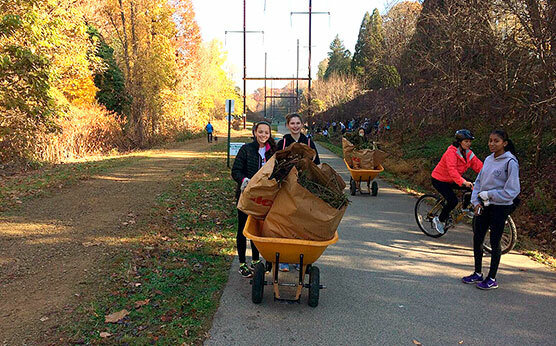 This past Saturday, the Friends of the Cynwyd Heritage Trail convened on the trail for an unseasonably warm work day. One group worked near the Belmont trailhead and overlook, clearing branches and other debris, keeping the trail clean and safe for bikers and other trail users. Groups cut back grasses at the Barmouth trailhead and in a few other areas on the trail, creating a pleasant view of the Red Twig Dogwood located along the stream. The gardens on the trail were cleaned out, to prepare for new plantings in the spring. A large amount of debris was removed near the Cynwyd Club, leaving significant piles behind to attest to the hard work. Many thanks to Parks and Recreation, who will be picking up all of the piles that we left behind, leaving the trail looking well-kept and ready for bikers, boarders and walkers alike. Together we removed Knot Weed, Mug Wort, invasive vines, old tires and tons of debris from The Trail! A very special thanks to our Board Vice President, Kitty Rapalyea, for organizing the event and to Shirlee Howe for providing us all with hot coffee, donuts and homemade muffins. 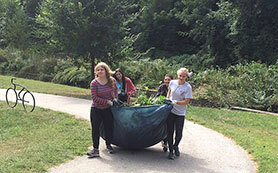 On September, 17th eighteen students of BuildOn from Harriton High School (Todd Curyto, faculty supervisor) spread mulch on the newly weeded garden at Barmouth, while forty five students of BuildOn from Lower Merion High School (Tom Reed, faculty supervisor) tackled the weeds on the far side of Vine Creek at the Bala Playground (what we call the Basin). It was hard work all around, but with the help of these sixty+ students, as well as a new volunteer from the community, we got it done! The Community Service group, under the direction of Chris Leswing, removed vines from trees and bushes at the Cynwyd Station. Thanks to all the volunteers and supervisors who help make our trail workdays such a success. 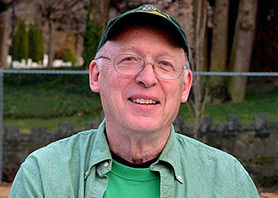 On June 22, 2016 The Friends of The Cynwyd Heritage Trail lost a true advocate and original pioneer, Peter Brigham, who helped make The Cynwyd Heritage Trail a reality. Those of us who worked along side Peter will never forget his generous spirit and tireless dedication. On June 4th, volunteers worked together to plant a new garden at Barmouth in front of the entrance to West Laurel Hill. 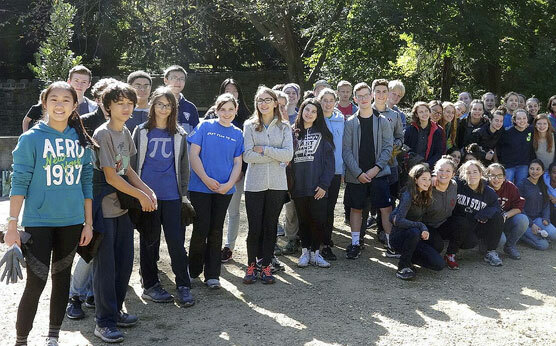 The garden was designed by Rachel Burlington, horticulturist at the Barnes Arboretum and board member, and was the senior project of Spencer Segal, who just graduated from Lower Merion High School. The project began earlier this year, and after the planning phase, included transplanting the taller grasses and native plants from the garden to their new home north on the trail, and replacing them with a thoughtful arrangement of native, flowering, low growing plants. We’re excited to watch this new garden grow, and expect these fledgling plants will follow the general rule of (green) thumb and “sleep” year one as they strengthen their roots, “creep” year two as they explore their new space, and “leap” year three as they claim their new home! We couldn’t do it without our dedicated volunteers! A big thank you to all of the buildOn (Lower Merion High and Bala Cynwyd and Welsh Middle Schools) volunteers, the community service groups, Chris Leswing, and the FOCHT board members who participated in our June work days, as well as all of you who have helped in the past! We look forward to seeing you on the trail this summer! The Trail’s End Cafe has arrived at The Cynwyd Station Trail-Head! 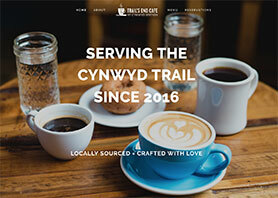 The Trail’s End Cafe, on The Cynwyd Heritage Trail, is ‘the place’ to meet up with friends over good food and great coffee, tea, espresso, pastry, sparkling water, ice cream, or a panini. 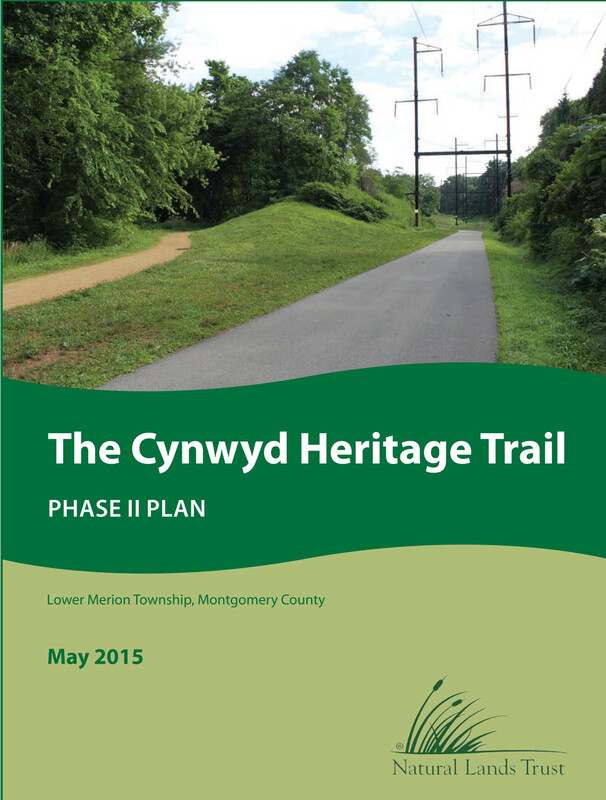 They have also generously agreed to set up a ‘Lost and Found’ for users of The Cynwyd Heritage Trail. Stop by and check out The Trail’s End Cafe today! Thank you to all who came out and made our Fifth Annual Trail Trot and Family Fun Walk Such a success! 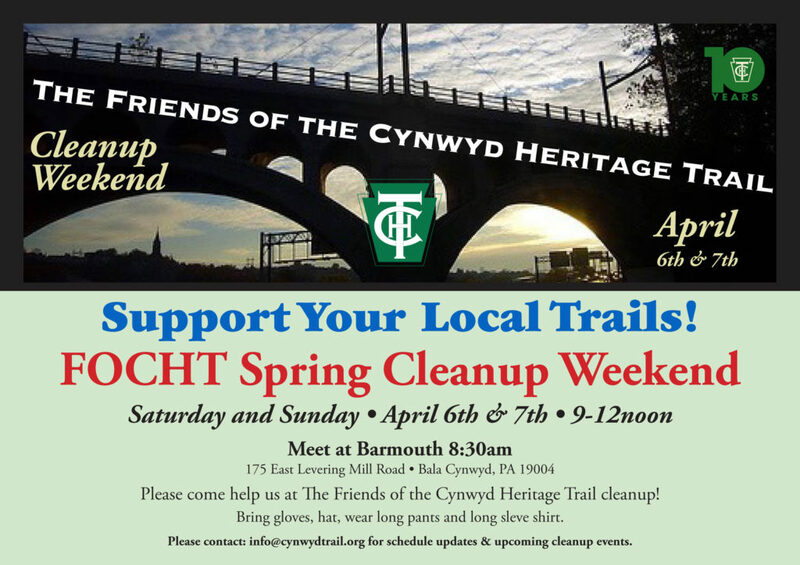 Saturday’s beautiful Spring weather and support from our community and volunteers helped make our Fifth Annual Trail Trot and Family Fun Walk a great fund-raising event for future Cynwyd Heritage Trail improvements. 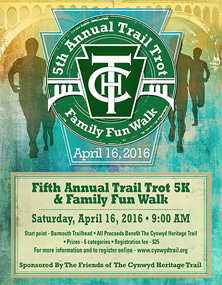 Fifth Annual Trail Trot & Family Fun Walk Platinum and Silver Sponsors! The Friends of The Cynwyd Heritage Trail would like to thank the following sponsors for their generous support of our Fifth Annual Trail Trot & Family Fun Walk. The cooler weather didn’t discourage our hard-working volunteers this past Saturday, March 19. It was another productive work day on The Cynwyd Heritage Trail! The larger of our two groups of volunteers gathered at Cynwyd station to cut back grasses and clear the beds, prepping them to be mulched next month. Several plants were moved in preparation for scheduled maintenance on the pedestrian crossing by SEPTA. Knotweed and vines were removed from around the twig dogwood and the plants were pruned. Now we just wait for them to bloom! At Barmouth, a smaller group cut the tall grasses and cleared the areas around the trees near the parking lot. Overall, we made great progress and we’re looking forward to enjoying the fruits of our labors now that spring has sprung. A big thank you to all of our volunteers! Your hard work makes a difference! We hope to see you, along with some new faces, at our work day next month. See you on the trail! 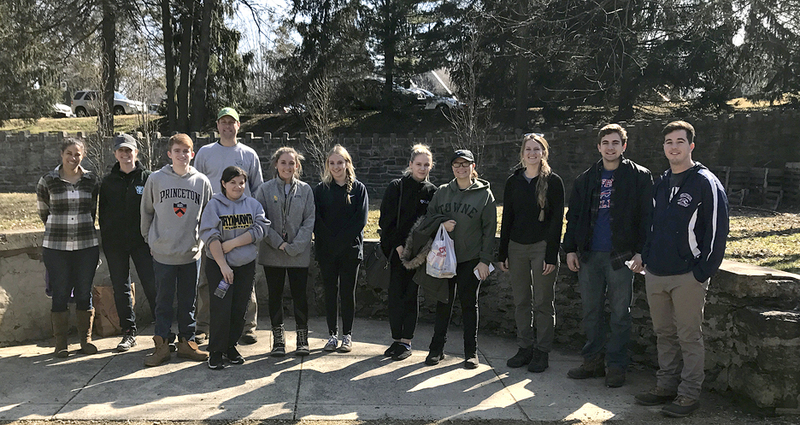 On February 20th, an unusually sunny and warm day for February, several groups of volunteers joined the Friends of the Cynwyd Heritage Trail for a successful and productive work day. 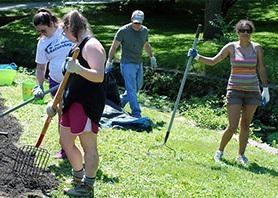 Groups from Bryn Mawr College, West Laurel Hill Cemetery, the Aquatic Fitness Center and several others rolled up their sleeves and tackled projects in three separate areas on the trail. The largest group of volunteers continued a project near the end of Righter’s Ferry Road, which was begun on Martin Luther King Day. The group got in early and made a lot of progress in the ambitious attempt to clear this overgrown section. One more work day and this task should be complete, allowing off-road access to the Pencoyd Bridge section of the trail, prior to the creation of another loop through West Laurel Hill Cemetery. Near Barmouth, a group of first time trail volunteers pulled out the perpetually sprouting knotweed and cut the English ivy for later removal. Trash was collected by some of our smaller, yet still hard-working volunteers, Zach (6th grade) and Hana (Kindergarten). Near Cynwyd Station, the suckers and vines were removed, giving the trees in that area room to breathe and bloom as we approach spring. In March we’ll continue removing weeds and start putting down mulch. We’re right on track this season, thanks to the hard work of all of our dedicated volunteers. Hope to see all of you on the trail! FOCHT Launch a New Facebook Page! We’ll be using the page to keep you up-to-date with photos, upcoming events, trail work days and updates. We’d also love to see all of the fun you’re having on the trail as it warms up outside, so definitely post your photos, videos and comments! Please take a moment to “like” our page and be sure to share with your neighbors and friends! We are looking forward to connecting with you this year! 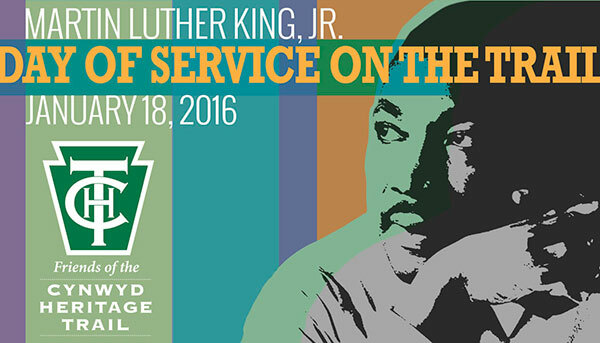 The Friends celebrated the legacy of Martin Luther King, Jr. with a very special Work Day. On January 18, 2016, The Friends of The Cynwyd Heritage Trail were joined by volunteers from BuildOn, St. Joe’s University and Court ordered community service workers, who cleared 300 feet of knotweed and Bamboo along Righters Ferry Road. We uncovered 3 feet of pavement that will serve as a bike path from the Pencoyd Bridge to West Laurel Hill Cemetery. The Friends along with our tireless volunteers also cut back perennials and ornamental grasses, removed over fifty bags of leaves, dead tree limbs and debris from The Barmouth Trailhead and one of our historic Overlook Points on the trail. Despite the 18 degree temperatures and a wind chill index that dipped below zero, we had a great turn out and effort. Thank you to all for your hard work. Each and every one of you made a difference! Thanks to all who came out and made our Third Annual Meeting such a success! 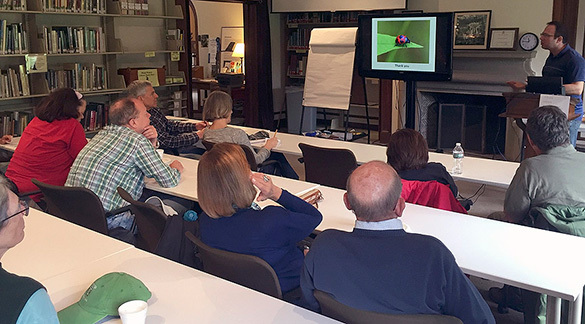 The Friends of the Cynwyd Heritage Trail held their Annual Dinner at the Conservatory, West Laurel Hill Cemetery, December 15, 2015 with speeches, award presentations, great conversation with wonderfully catered culinary fare and refreshments. 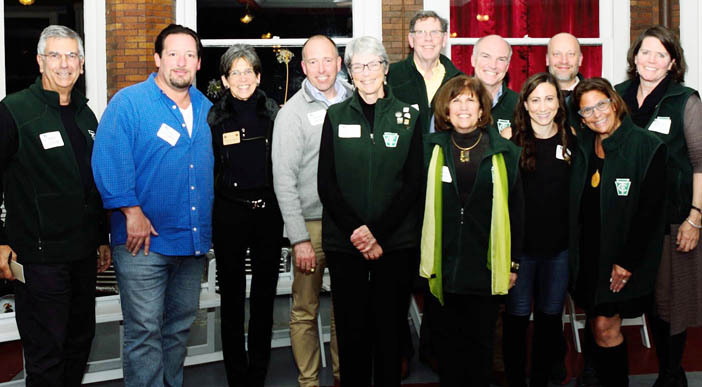 To all those who were able to attend, we thank you for your participation, in what was an evening of tribute to all those who have donated countless hours to make The Cynwyd Heritage Trail into the premier recreational destination it has become. We also discussed the future expansions to the trail and impact of the recently opened Manayunk Bridge! We enjoyed meeting with you and look forward to improving the trail experience in the year ahead. Take a moment to relive the evening, by clicking the link below, to George T. Manos candid photographs of our Third Annual Meeting. Thanks to all for coming out and making our 4th Annual Trail Trot and Family Fun Walk a success! Cynwyd Heritage Trail Featured in Philadelphia Magazine! With the anticipated opening of the Manayunk Bridge over the Schuylkill later this year, this two-mile stretch of side-by-side gravel and concrete pathways (for foot and wheel traffic) will become a scenic gateway between Manayunk and the Main Line. The trail runs northeast from Cynwyd Station past Bala Cynwyd Park (water fountains! ), West Laurel Hill Cemetery, and pretty views of hillside Manayunk. Clear quarter-mile markers along the way make it perfect for tempo or speed workouts. Lots of dignitaries — Congressman Chaka Fattah, Senator Vince Hughes, State Rep. Pam Delissio, Montco Commissioners Leslie Richards, Josh Shapiro and Bruce Castor; Deputy Mayor Rina Cutler, Deputy Mayor Mike DiBerardinis, DCNR Deputy Secretary Flood, SEPTA General Manager Joe Casey. 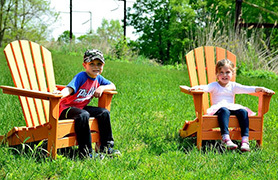 The Friends of the Cynwyd Heritage Trail was founded in 2008 by a group of dedicated volunteers committed to supporting the construction of the Cynwyd Heritage Trail. Currently, the Friends focus on supporting the volunteer efforts in beautifying the park. 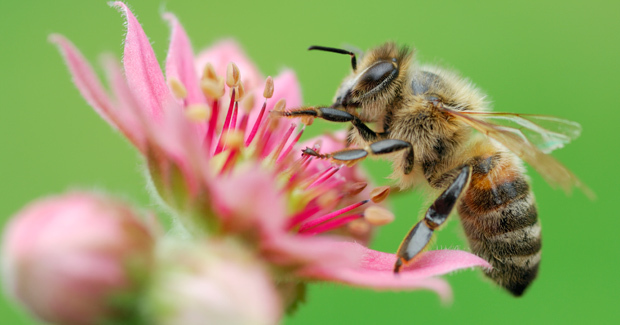 To learn more about the Friends, please see our Membership brochure.